from the very tip of St David's Head. 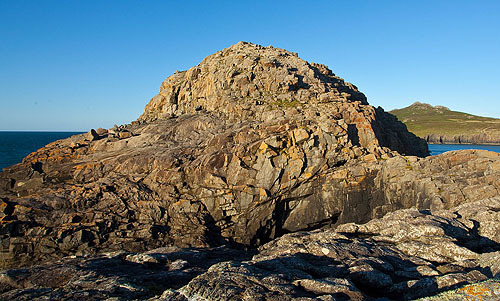 St David's Head and Carn Llidi are composed of "Gabbro" . "Gabbro" and the other closely related rocks , formed when Volcanic Magma intruded into the Ordovician sedimentary rocks.